Pine can be a pain to carve – especially if you’re heavy handed with your router. This lightweight, soft wood is popular for its low cost and nearly universal availability. Despite this, it isn’t always the easiest wood to work with. Carving pine on a router takes a little bit of prep work and finesse. A little knowledge on how to handle this soft wood can turn a nightmare into a daydream. Routing on pine is fuzzy. Sand the wood down first to get it good and clean for carving. When you’re done, be prepared to sand away any fuzzy edges that remain. A rotary tool equipped with a fine grit sander can make quick work of any rough edges left behind when working with pine. Alternatively, a sanding mop (either a commercially available or homemade one) can help with the cleanup of fuzzy edges when you’re working with pine. Even though soft wood can be beautiful, sometimes you need to harden it before working with it. After sanding, apply a coat or two of shellac, sanding sealer, clear acrylic or even paint to aid in your routing. The strength added by the coat of sealant will make it easier for you to carve your design into the wood. What you put on your wood is largely a matter of personal preference and can vary based on the project, so play with some scrap wood before working on your final project to see what coating gives the best results. Pine is notorious for having pitch pockets that can snag your bit and cause it to overheat. Play with the settings on your router to make sure you have the best speed and feed rate to prevent this from happening. Dealing with pitchy pine often – but not always – requires a clean bit, a slower speed and an increased feed rate to deal with the challenge presented by pitch pockets. If your project and design aren’t too large or intensive, run the design again after the first time to eliminate fuzzy edges and get a nice, clear cut. It’s possible to sand and spray seal the project after the first run and before the second run to increase crispness and clarity when working with pine, but it’s not always necessary or desirable. Because it’s time and material intensive, this isn’t always the best option – but it is one option available if your pine wood project is giving you fits. Use your router for the bulk of the cutting and relief work, then go in and hand finish and fine-tune the details with other tools. Again, this is a time-intensive option but one that can give stellar results when working with pine wood. Any pieces or chunks that have popped off in the routing process can be carefully re-glued and painted to hide and any imperfections can be evened out with an eye for detail and your artistry. Pine isn’t the first or even best choice for routing – basswood is comparable but much easier to work with, for example. 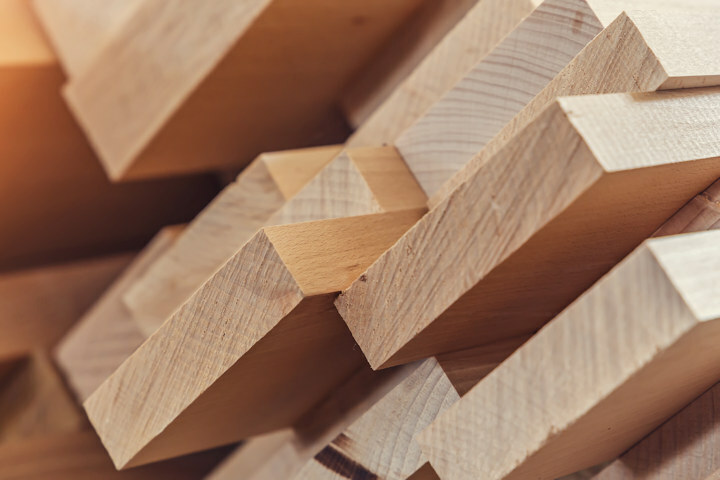 Still, many choose pine for its affordability, availability and the unique qualities it brings to projects. By knowing your wood and how to handle it – as well as accepting that some imperfections and extra work are required – you can create great signs and other projects using this soft wood. What’s your best tip or trick for working with pine?